Because Waldron & Schneider services a broad array of corporate and small business clients, the firm recognizes the variety of issues related to employment and labor disputes. 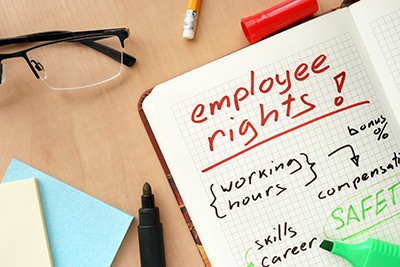 The wide range of employment law ranges from wrongful termination, at will employment, discrimination or harassment in the workplace, employee negotiations or relations and other unfair labor practices. We realize that it is difficult to please everyone but strive to aid in putting in place the most amicable solution that is fair for all parties involved. Similarly, the firm regularly represents employers before the Texas Workforce Commission and in addressing wage and hour issues raised by the Department of Labor. The attorneys at Waldron & Schneider advise clients on matters such as whether an employee is a W2 or 1099 employee, whether restrictive covenant agreements are necessary, and whether a formal employment agreement is needed. Other issues addressed include representing employers and employees in addressing issues arising the hiring and termination of employees, claims for unemployment benefits, and claims for wrongful discharge. Waldron & Schneider has the experience to help avoid pitfalls which are inevitable in employment relations. We have several employment and labor law attorneys that are ready, willing and able to work with you, your human resources staff and/or your employees with regards to employee relations, such as Mark Rubal, Kimberly Bartley and Jason Keith. You may complete our contact form so we can reach out to you, stop by our Houston, Texas office on Middlebrook Drive or call our office at (281) 488-4438 and we will be happy to further assist you with your specific employment law or labor law issues. Please feel free to check out the resources we have provided for you about employment and labor law in our FAQs section. Keep in mind that we offer a variety of other corporate law legal services as well as a large array of personal legal services such as estate planning, bankruptcy, family law and other litigation needs. Do not hesitate to reach out and inquire about your specific legal needs.